The carbon build up here is so excessive that it formed a super hard crust thick enough on the shield to make contact with the back of the turbine impeller. If you look closely at the following 2 pictures you can actually see the wear marks at the point of contact. 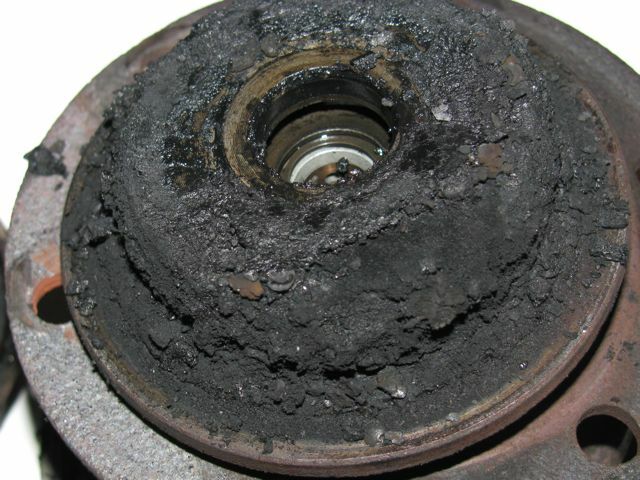 This is what creates turbo whine coupled with a significant loss of power. If you let your turbo go too long without maintenance you can count on having to replace some very expensive internal parts. 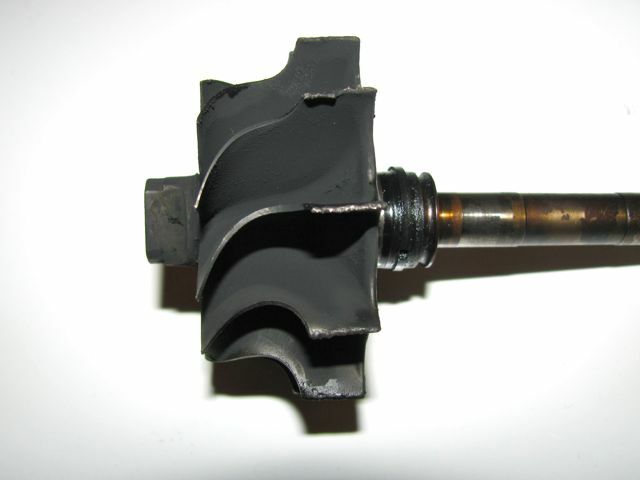 In the case of this turbo the extra heat created by the friction of the impeller rubbing on the heat shield caused the bushings to actually spin in their races. This one is going to be very expensive to overhaul. 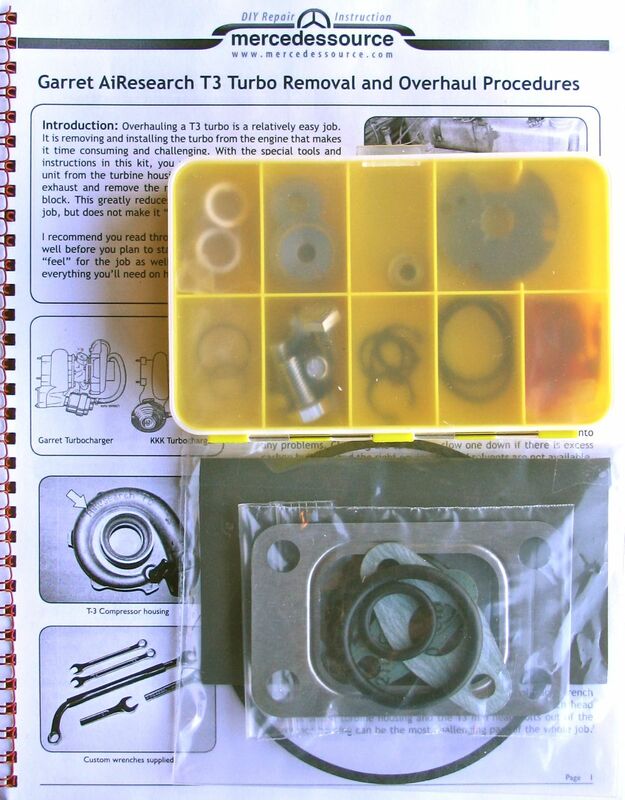 If you act early turbo overhaul usually requires only cleaning and replacement of the bushings, thrust washer, and dynamic sealing rings. This can keep the cost at or under $100. 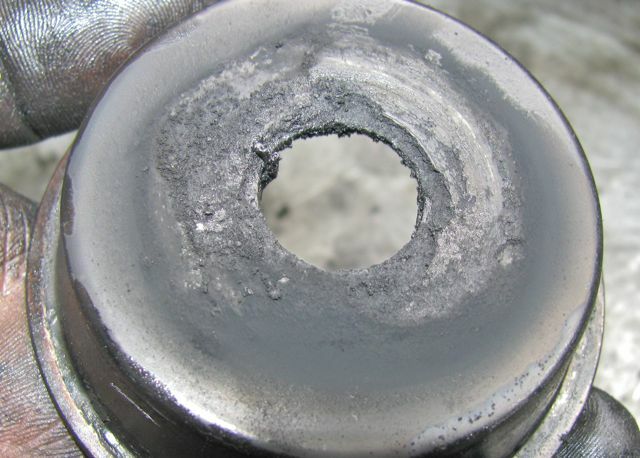 Turbos should be removed every 80,000 to 100,000 miles for this type of preventative maintenance. When you do this you will extend the life of the turbo, increase fuel economy and engine power output. 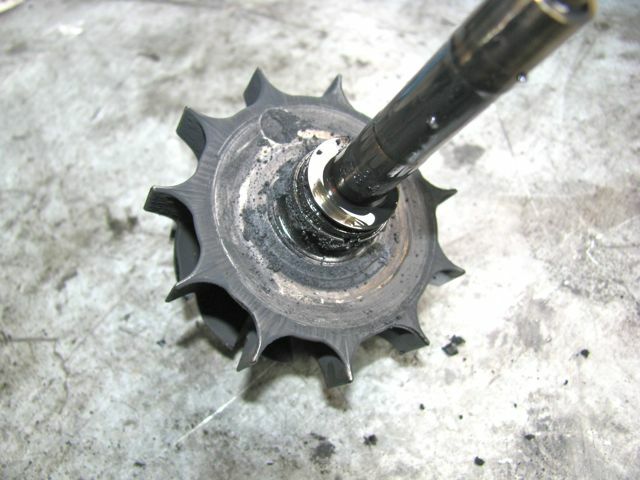 The carbon build up was so extreme that it permanently damaged the impeller tips on the exhaust turbine. This one it toast. That is what happens when you go too long not doing any turbo maintenance. This engine had 205,000 miles on it and the turbo had never been opened up. 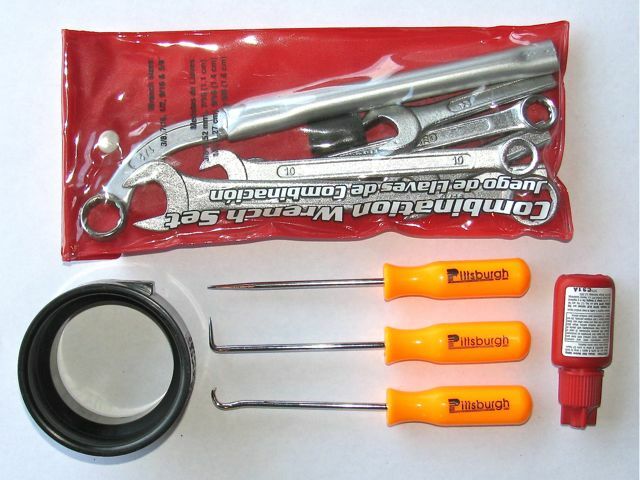 We offer everything you will need right down to all the gaskets, seals and tools you will need to do this job right!